As nonprofit professionals, we “opt in” to making positive change in our communities. We want others—donors, volunteers, policymakers—to opt in to the missions we all care about. Communication is central to this goal. Authentic communication, deep community engagement, and effective messaging are critical to raising public consciousness, understanding, response to, and funding of the work that matters in our communities. 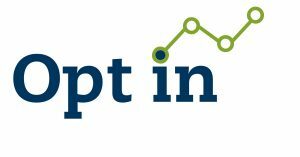 In 2018, MANP inaugurated the Opt In: Nonprofit Communications Conference to support Maine nonprofit staff and volunteers to discover their own best path toward investing in communications, so they can advance strategic goals. We highlighted “trends within reach,” bringing focus to innovations and strategies that are relevant and useful for Maine nonprofits, particularly in light of the relatively small budgets our nonprofits have compared to peers in more populous states. Through creative formats that prioritize peer learning and meaningful engagement, attendees of Opt In gain inspiration, connections, and practical skills and tools to put to use right away. Thank you to our friends at Machias Savings Bank for capturing highlights from Opt In 2018!